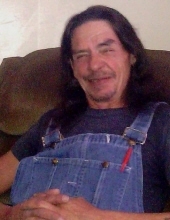 Walhalla- Charles Gary Payne, 55, of 124 Payne Drive, passed away, February 5, 2019, at his residence. Born in Walhalla, he is the son of Edna Blackwell Payne and the late Ernest Payne. Charles was an auto body painter and prepper at Scenic Chevrolet and attended the Church of God of Prophecy. In addition to his mother, Mr. Payne is survived by daughter Amanda Ojeda of Walhalla; brothers, James Payne of Westminster; sisters, Kathy Nichols of West Union and Karen Goss of Walhalla; two grandchildren, Joseph and Hannah Ojeda; and special friends, Tonya Boyd and Judy Woody. Mr. Payne is preceded in death by his father, Ernest Payne and his brothers, Vernon G Payne and Jessie L Payne. A funeral service will be held 3 pm, Saturday, February 9, 2019 at the Sandifer Funeral Home Chapel with burial to follow at Westview Cemetery in Walhalla, SC. The family will receive friends 1-2:30 pm, Saturday, prior to the service at Sandifer Funeral Home. The family will be at the home of Kathy Nichols, 126 Jefferson Road, West Union, SC 29696. Flowers are accepted or memorials can be made in Mr. Charles Payne’s memory, C/O Sandifer Funeral Home, PO Box 69, Westminster, SC 29693. Condolences may be expressed online by visiting www.sandiferfuneralhome.com. To send flowers or a remembrance gift to the family of Charles Gary Payne, please visit our Tribute Store. "Email Address" would like to share the life celebration of Charles Gary Payne. Click on the "link" to go to share a favorite memory or leave a condolence message for the family.